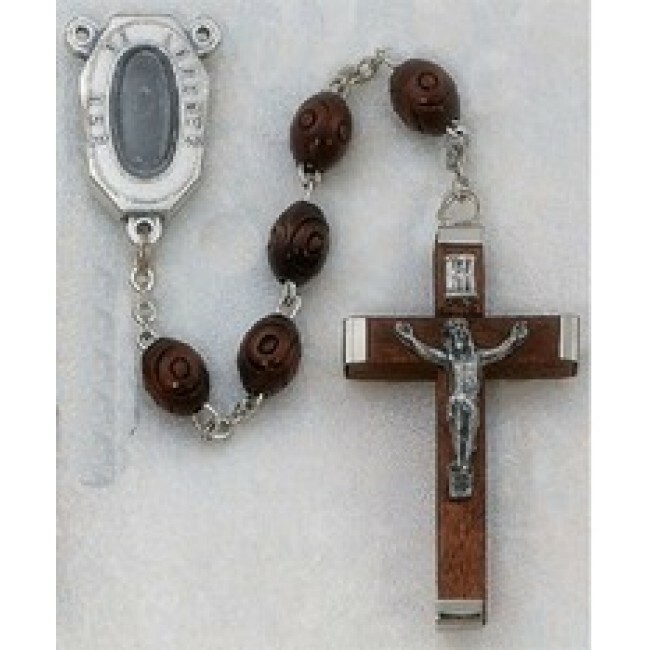 The Carved Wood Lourdes Water Rosary is available in your choice of brown or black. The carved wooden beads are smooth and easy to handle. They perfectly offset the center piece which shows Our Lady of Lourdes on the front with water from Lourdes encased on the back. 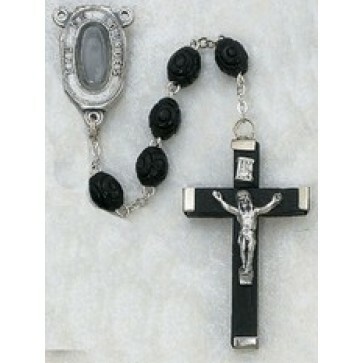 The Wooden crucifix at the terminal end of the design has metal capped ends and a sturdy metal backing. Our Lady of Lourdes became a widely respected symbol when she appeared to a 14-year old peasant girl in a cave of Massabielle.